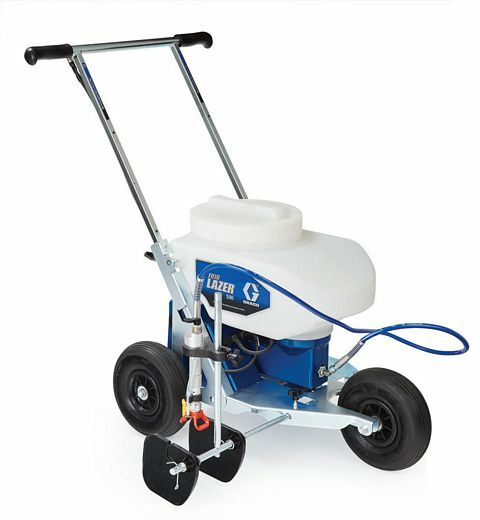 When you need a no-nonsense striper to get your field ready for game day, you want the TruMark E-100. 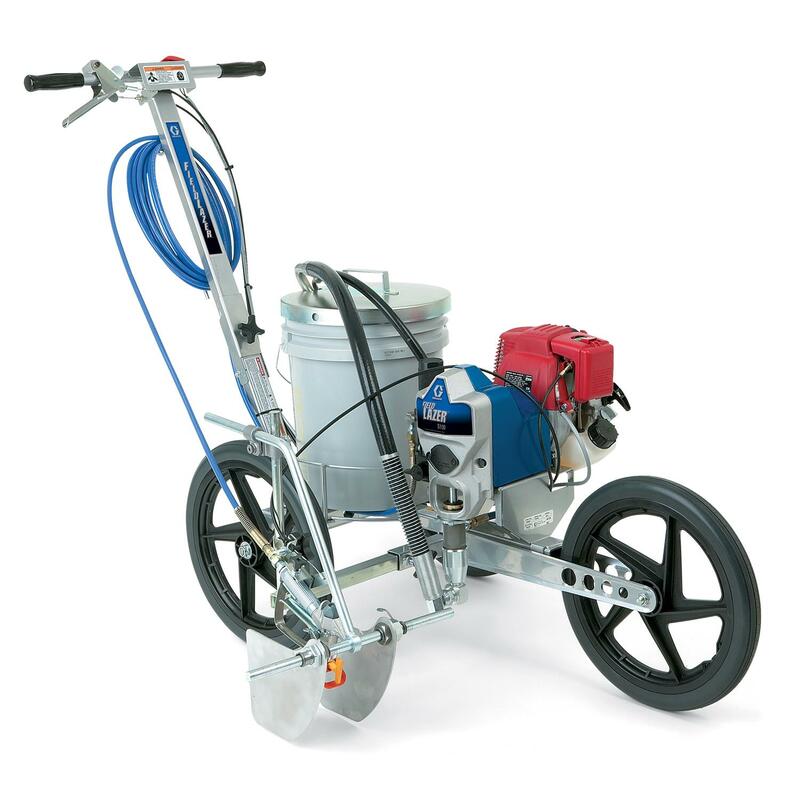 This battery powered, walk-behind field marking machine is durable and designed to last as well as safe for use by volunteers. 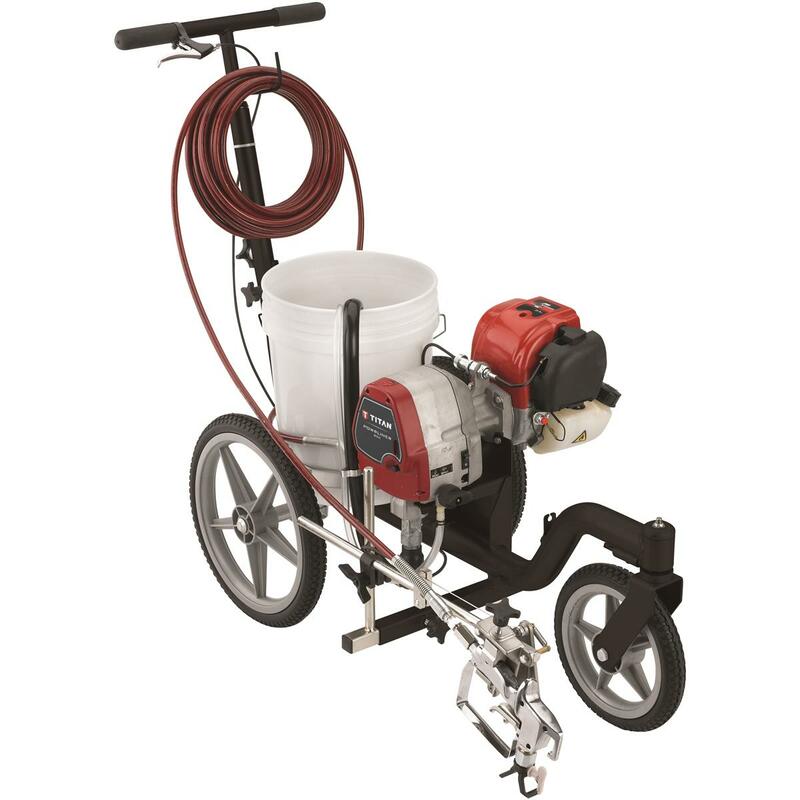 With three rugged wheels, a 5-gallon tank and adjustable width floating paint shields, the E-100 is perfect for painting football, soccer, rugby, lacrosse, baseball fields and more. Up your game; get the E-100 today! • Safe and easy for volunteers to use and maintain! Need help finding a field marker? We’ll help you select the best fit for your needs and budget. Learn more about stripers in our FAQ page or contact us now for personal assistance selecting a field marker.